Defamation Lawsuit Filed Against Fake SPLC—FINALLY! Gavin McInnes, the founder of the far-right, all-male group Proud Boys, has filed a defamation lawsuit against the Southern Poverty Law Center. SPLC has labeled the Proud Boys a hate group and has published a series of articles with examples of racist, misogynistic and transphobic quotes. The SPLC has said the reality is more complicated. 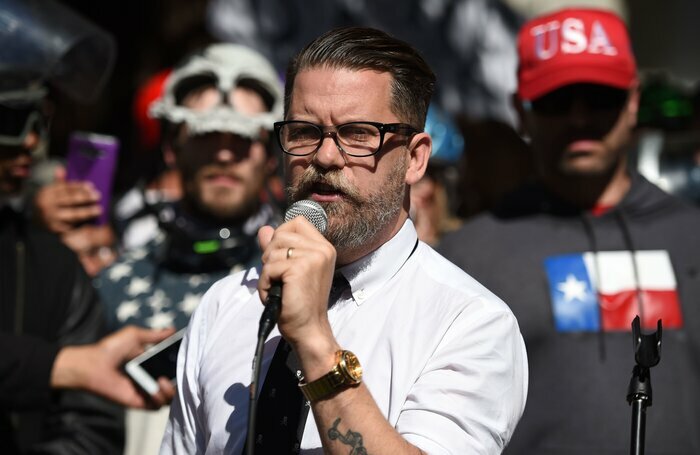 “McInnes plays a duplicitous rhetorical game: rejecting white nationalism and, in particular, the term ‘alt-right’ while espousing some of its central tenets,” the center states. According to McInnes’ complaint, he cut ties with the Proud Boys last November, partly because he felt pressure due to the SPLC’s designation of it as a hate group. The lawsuit claims that the SPLC is motivated by fundraising interests and that it seeks to cut off access between those it names as hate groups and their platforms and funding. “By leveraging its remarkable power and influence to deplatform and defund targeted groups and individuals such as Mr. McInnes, SPLC deprives those with which it disagrees of venues in which their points of view may be expressed, of income and ultimately of their most priceless possession, their reputations,” the lawsuit states. It claims that the SPLC’s statements contributed to Twitter, PayPal, Mailchimp, and iTunes banning the group and/or McInnes. Richard Cohen, the president of the Southern Poverty Law Center, described McInnes’ lawsuit as meritless.